Do you want to rid your bathroom of some stubborn stains and grime? Has limescale accumulated on your taps, shower and sink? One thing you can do to fix that is to get in touch with our company. 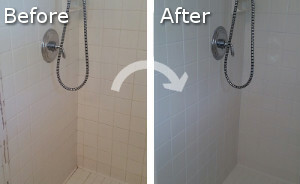 We offer one of a kind bathroom cleaning services in Canary Wharf E14. Rather than doing the burdensome cleaning yourself, let our experts take care of everything. We will clean and disinfect every available surface in the room, leaving gleaming taps, floors, mirrors, floors, walls, tubs and walls. You don’t have to worry about anything. Get in touch with us today and book an appointment. We will have you impressed. If you want to entrust your bathroom to someone who really knows what they are doing, then our professional bathroom cleaning service in Canary Wharf is everything you need. Satisfaction is guaranteed. Meanwhile we are in your property, we will make sure your bathroom gets the attention it deserves. It is a room that is exposed to moisture constantly. This promotes bacteria and mould growth. That’s why cleaning and disinfecting every nook and cranny in your bathroom is necessary. Let us do it for you. We know more than anyone else how to tackle the job. We have extensive experience in domestic care and we are experts at bathroom cleaning in Canary Wharf. We not only know what we are doing, but also use professional cleaning supplies, which enable us to clean bathrooms to perfection. We are specialists in removing grime and limescale. We use modern cleaning methods. The service may take from 40 minutes to a couple of hours depending mostly on the size and condition of the room. We will make sure to leave your bathroom sparkling. Every surface will be shiny. Do you feel like booking an appointment? Our courteous telephone operators will take care of your call. Let them know what you need. Get in touch with our customer support centre right away.